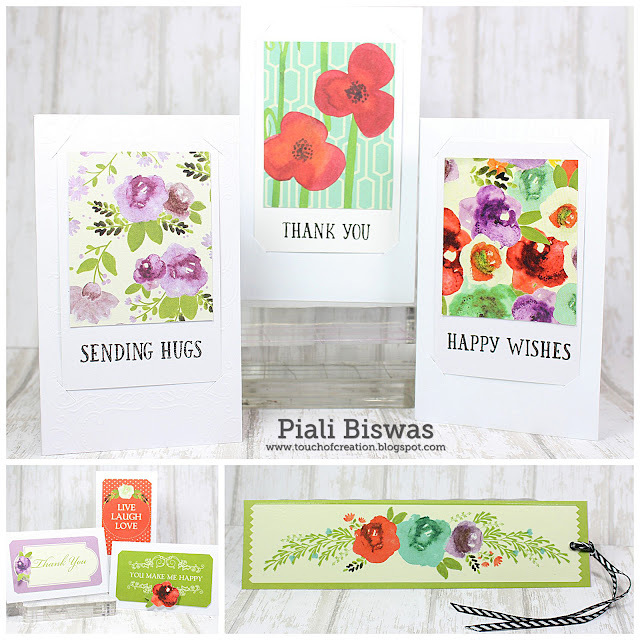 Today I'm on DCWV blog, sharing a super quick gift set idea! 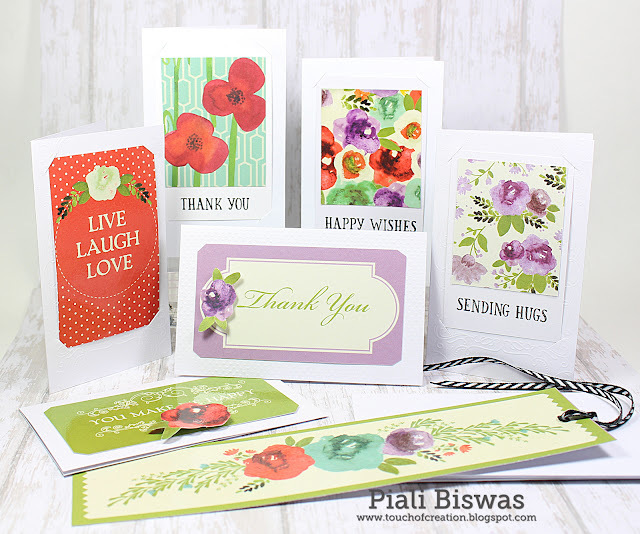 I used DCWV mini photo cards and Garden Charm stack for my project. Teachers Appreciation week is almost here so I whipped up a quick mini cards set & bookmark for younger ones class teacher. I think this set with a gift card will be perfect for her! Loooove the Garden Charm stack...beautiful floral prints , labels & sentiments. 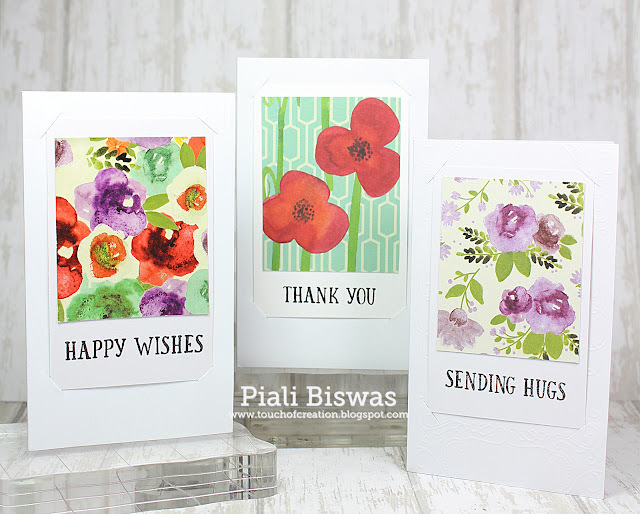 I made 3 floral cards with stamped sentiments. I also trimmed few flowers from the prints and added it to cards with dimensional adhesive. To finish my gift set and made a book mark too. Super easy one...just trimmed a print from the Stack and added an eyelet & May Arts ribbon. 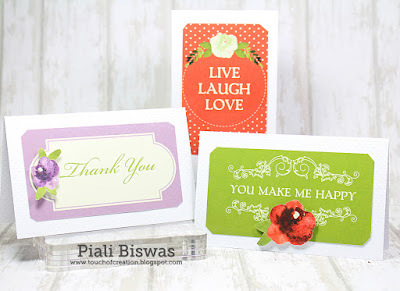 New DCWV stacks are simply amazing... great for all level of crafters, beginners to the pro!! Hope you all like this idea!! I have project using new Anchors Aweigh collections to share with you all! I love this new Doodlebug Designs collection !! I made a party in a box kind of package for a friend. 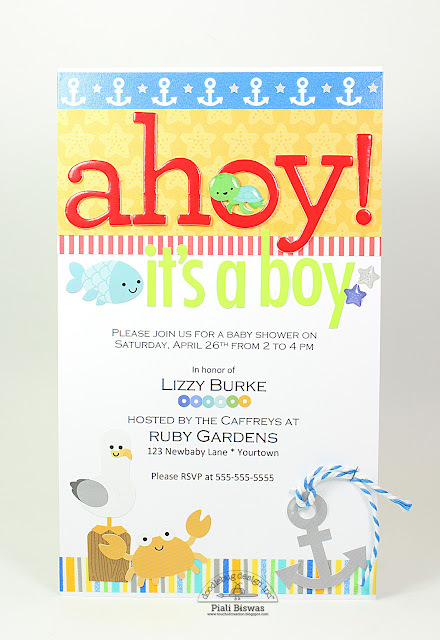 My friend hosting shower for her cousin, so I thought I should help her out with Invite and party decor. 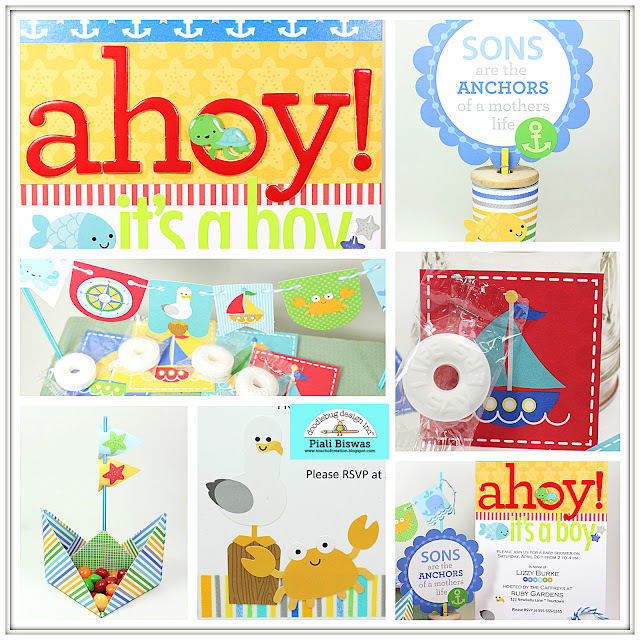 Anchors Aweigh collection is perfect for a baby boy!!! I loooove this collection super cute!! My friend ordered a cake with simple baby blue fondant so I created this banner to serve as the cake topper. 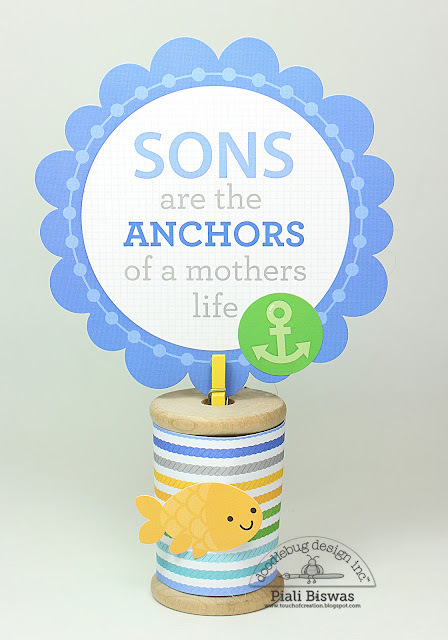 I used Banner craft kit , its super to easy to assemble, you get a super cute banner in no time! 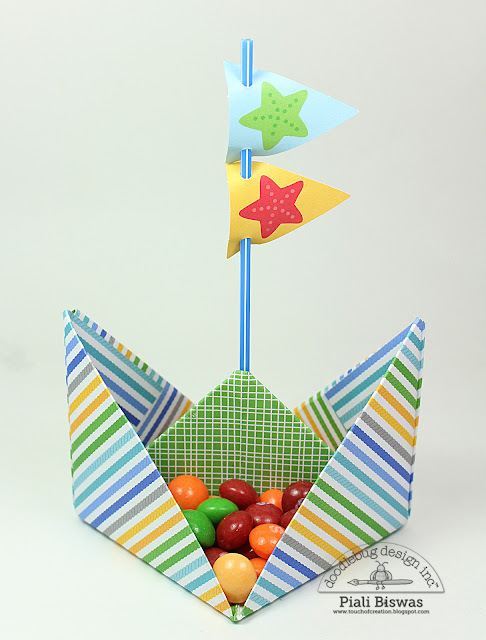 I did the same for the treat holders...I made these boats for various candy treats to be laced and the buffet table. 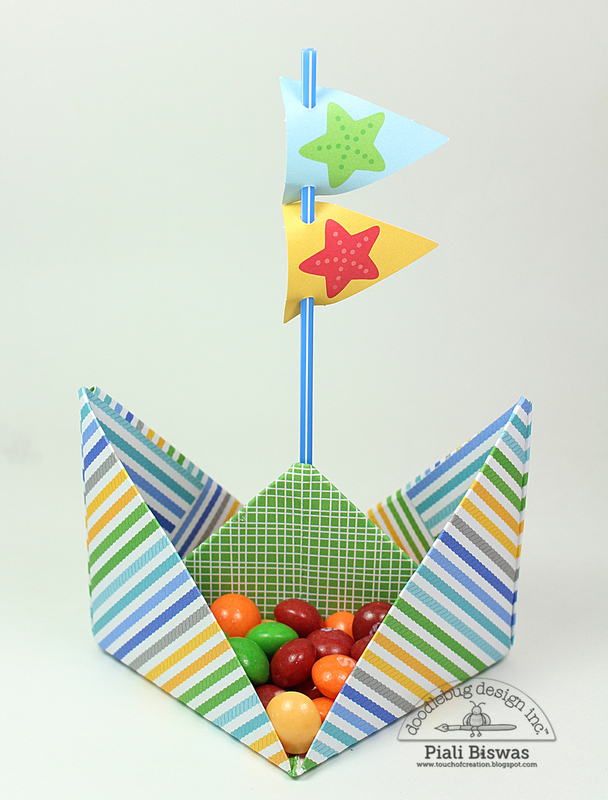 Once again I used the banners from the banner craft kit. 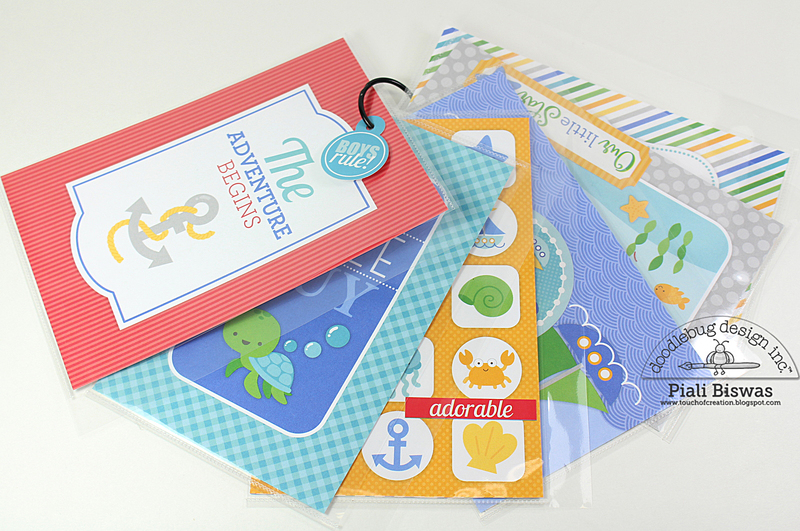 I placed the 4x4 cards in plastic sleeves , so that the mom to be can right a thank you message at the back . I also sending a We R Memory Keeper Fuse tool in the package so that my friend can seal the coasters. Then comes the party favors with the coasters.. 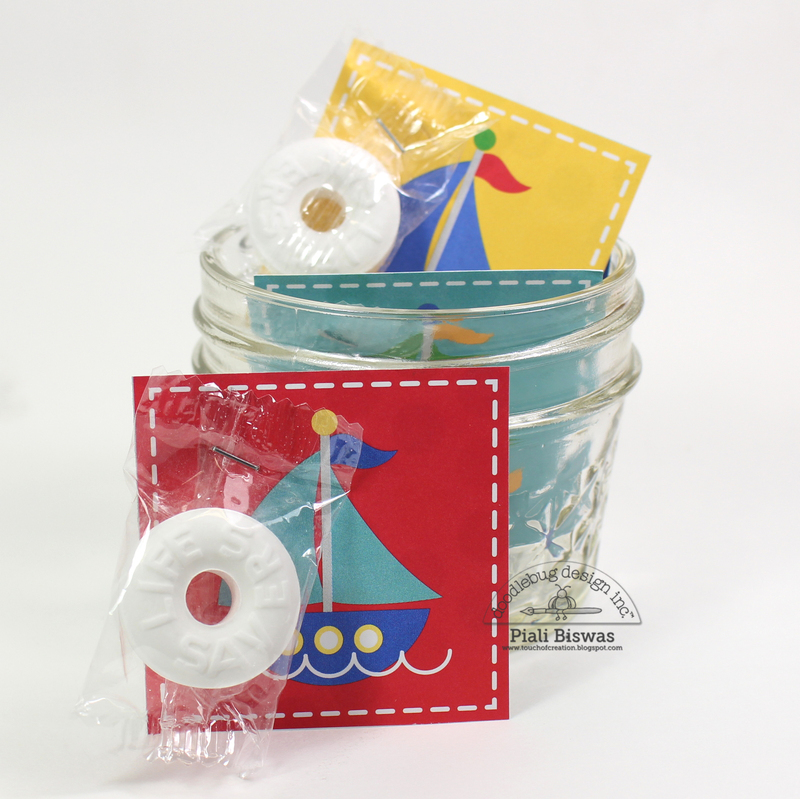 Cute holder for the Life Savers...had to make quite a few so I kept it quick & simple, I trimmed the 2x2 print and stapled the life savers to it. 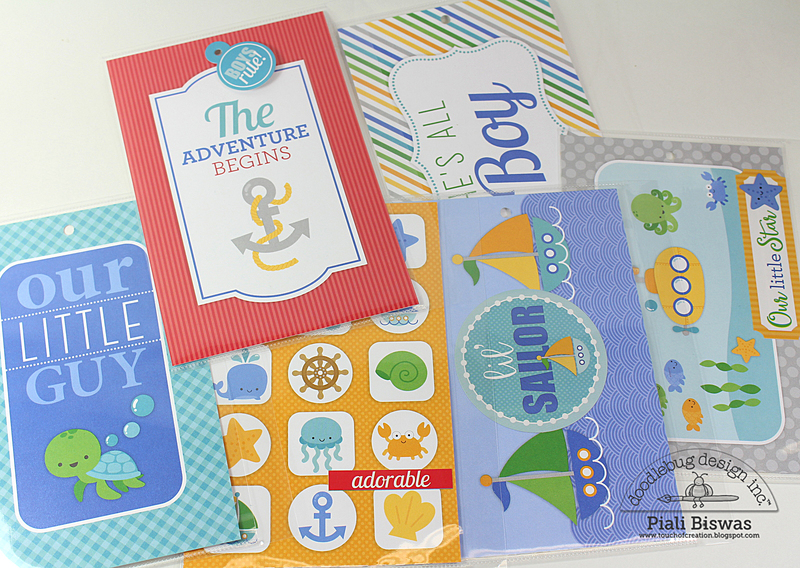 New moms are super busy , they love taking baby photos but don't have much spare time to scrapbook. I made a quick mini album for her. Quick thing to put in her pocket book when she goes back to her office, a little something to make her smile while she will be away from her little boy! I put the 4x6 prints in the photo sleeves, mom to be can just insert a photo and seal it shut... easy peasy mini album!! Hope you like this party idea!! !